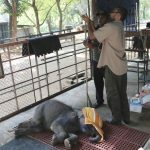 Elemotion Foundation supports the amazing work of the Elephant Transit Home (ETH). The Transit Home, established in 1995 by the Sri Lankan Department of Wildlife Conservation, is located in Udawalawe National Park in southern Sri Lanka. 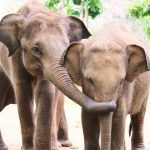 It is the only orphanage in the world to successfully rescue, rehabilitate, and release orphaned Asian elephants back to the wild. 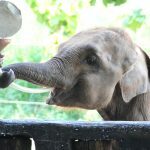 Most Transit Home babies are orphaned due to human-elephant conflict. The Transit Home can care for 30-40 of these orphaned calves at one time. The ages of the calves range from just a few days to over 5 years old. Introducing a baby elephant to milk formula is a difficult and often dangerous task. Intolerance, diarrhea, and dehydration can severely threaten the life of an already weak and stressed baby elephant. Treatment of injuries, wounds, abrasions, factures, dehydration, and malnourishment are also part of the daily routine. The Transit Home’s rehabilitation program provides each baby specialized medical care, milk formula, 24-hour surveillance, a natural setting, and plenty elephant friends for company and the development of social skills. The keepers are highly trained. They love their orphans and care for them in a humane, gentle manner. Except for very young or ill babies, the keepers practice a hands-off approach. Due to the high level of human-elephant conflict in the country, it is best the orphans bond with each other and not become overly acclimated to human interaction. 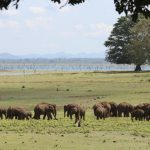 The babies enjoy plenty of space in the national park with access to the forest, fields, and the Udawalawe reservoir. Electric fencing and 24-hour surveillance means the orphans are never chained or tethered. 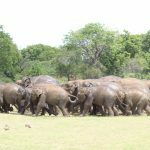 Once the orphans reach the age of 5-6 years, they are grouped together in small batches for release into the Udawalawe National Park. 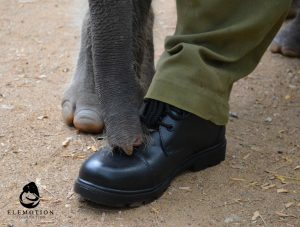 Today, around 100 orphans have been released back to the wild. The overall success rate after release is very good. 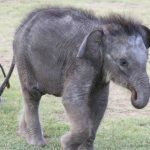 Only eight orphans have died after release, which is in line with normal survival rates for wild elephants in the country. Success is judged based on the survival rate, integration into wild herds, and offspring. So far, 10+ released orphans are now mothers and have produced 16 wild calves! Whatever path they follow, thanks to the care they received at the Transit Home, the orphans are strong and have a better chance of prospering in the wild. 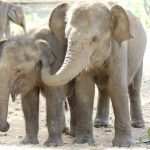 Visit our Orphan Foster Program page to learn about Elemotion Foundation’s past and present orphans (Vibhi, Samari, Kaha-Kurulla, Pokuna Raja, Uma, and Grusha), and how you can become a foster parent. 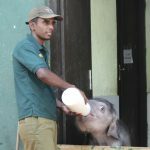 Orphan elephant rehabilitation is important to Elemotion Foundation. One way we support the Transit Home is by fostering orphans. We currently foster three babies named Vibhi, Grusha, and Kaha-Kurulla (Yellow Bird). 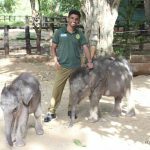 Our released orphans are Samari, Uma, and Pokuna Raja. We also provide technical assistance, support staff, donate supplies, and conduct other improvement projects. 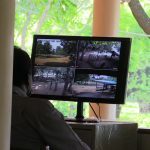 Examples of some of our projects include installation of an outdoor video surveillance system; donation of 36 pairs of sturdy waterproof boots and rainboots for keepers, vets, rangers, and guards; donation of a new cow-sling to keep sick babies on their feet; enrichment seminars for keepers about elephant conservation in Africa; and staff appreciation awards. This year we are spreading awareness to the general public about the Transit Home’s amazing work and finding new foster parents. If you are interested in fostering an orphan, please contact us. Please consider making a donation for our Transit Home projects.